You can contact Meetup support anytime by submitting a request through our Help Center. Before you submit a request, we will suggest articles that may answer your question. If you aren't signed in to the Help Center, you’ll find a “Submit a request” button on every Help Center article. Sign in to the Help Center by selecting Sign in in the top right-hand corner. Click the blue Get Help or question mark button in the bottom right-hand corner. From the Home tab, tap on your circular Profile button in the top right-hand corner. Tap the Gear or Three dots button and then Help. Tap Contact us and then New or the Pencil button. If you are unable to send a message it may be because you’ve sent too many messages in a row, your messages were too similar, or your messages have been marked as unwelcome by other members or our spam filters. If your account has been disabled due to spam and you'd like to reactivate it, please submit a request here and select I can’t log in. You may also be unable to message a member because their Message button is not clickable or missing. This may be due to messaging privacy settings that prevent you from messaging them and is not related to spam. How do I prevent my messages from being marked as spam? Don’t send messages too frequently: Avoid sending repeated messages to members both inside and outside of your groups. Don’t send marketing-focused messages: Avoid sending promotional offers, deals, or solicitations. Don’t copy and paste messages too often: Avoid sending exact copies of messages to large groups of members. Keep your messages relevant: Try to keep the topic of your messages relevant to a group's interests when sending messages to members. Be appropriate: Make sure your messages are appropriate for all members. You can reference our Usage and Content Policies for more information. If you receive spam or an inappropriate message from a member or organizer, you can mute them, block them, or report their content as spam. We review all spam reports and block accounts that are flagged repeatedly. Why am I unable to send messages? Meetup’s Troubleshooting team serves organizers who encounter technical problems on Meetup’s website or apps. Troubleshooters listen to organizer feedback and test every situation for potential errors. That way, organizers can focus on what they do best: creating community! Some of the most common problems organizers face are related to browser trouble, questions about emails and member notifications, or questions about payments. The troubleshooting team works with each organizer to test their problem and provide a solution or an explanation. In some cases, bugs in our platform are uncovered and troubleshooters escalate these bugs to Meetup engineers to create a fix. The Troubleshooting team works side-by-side with Meetup engineers to create workarounds for bugs and report answers back to organizers directly and through the Help Center. Meetup’s Troubleshooters keep the entire Meetup team laser-focused on listening to our organizers. Want to submit a question or problem to the Troubleshooting team? The best way to reach the Troubleshooting team is through the Help Center. The Help Center’s “Get Help” form organizes frequently asked questions and allows troubleshooters to reply swiftly and accurately. Make sure you're signed in. Click the Sign in button in the top right-hand corner. Click the blue Get Help button in the bottom right-hand corner. Enter your question into the text box and we'll show you our top recommendations for articles that may answer your question. If you need more assistance, click I Still Need Help. Fill out the short form and click Submit now. There are a couple reasons why you might receive an error when attempting to upload a photo to Meetup. Whether it’s for your profile, a group, discussion, or Meetup, photos need to be smaller than 10MB and be in JPG, PNG, or unanimated GIF format. Animated GIF files are not currently supported. If your photo is larger than 10MB, here are some things you can do to reduce the size. Both of these steps can be done using a simple photo editor on a computer or online. If you’re trying to upload a photo to a Meetup photo album, keep in mind that every album has a limit of 500 photos. But, there’s no limit to the number of albums a Meetup group can have. If the current one has hit its limit, just start a new one. Why can't I upload a photo? “Have you tried turning it off and back on again?” Seriously, though - uninstalling and reinstalling the Meetup app will often resolve common issues. This also ensures you have the latest, greatest, clean version of the Meetup app. Instructions to uninstall and reinstall are listed here. If a member’s Message button is not clickable or missing, they may have privacy settings that prevent you from messaging them. If you are unable to message a member then you are not in one of the categories they have selected. Customize your privacy settings to control who can contact you directly. Why am I unable to message a member? If your Meetup group’s organizer has enabled the group mailing list address, anyone can send a message and Meetup will notify all members who have email updates turned on. 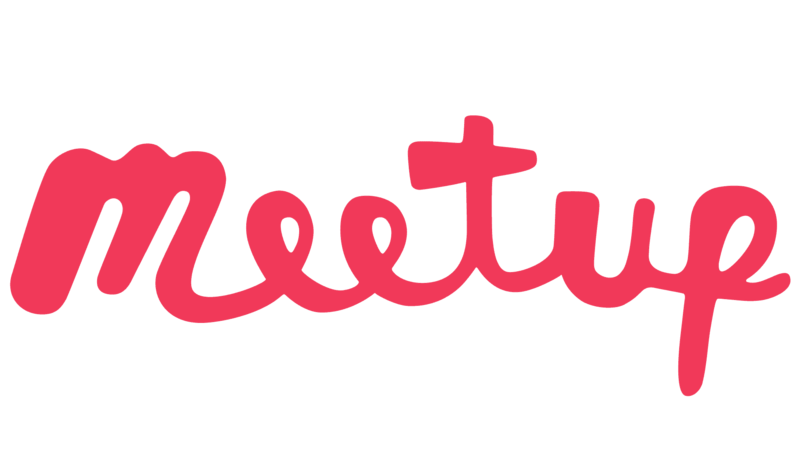 To start, check out Mailing list under the More tab on your Meetup group’s page. Is it your first time using the mailing list? If so, check your inbox for an email asking you to confirm you wanted to send a message to the entire Meetup group. You’ll need to click the link in that email to confirm and send the message. If you don’t see the email in your main inbox, be sure to check other folders (like Spam). Are you emailing from the right address? Your message will only go through if you’re writing from an email address we recognize as belonging to a member of that Meetup group. We do this to prevent spam from reaching Meetup members’ inboxes. So, double-check that you’re using the email address associated with your Meetup account. Does your email include an attachment that is too large? Messages sent via the mailing list currently have a total size limit of 2MB. (This limit includes the message itself, plus any attachments.) If your attachment is close to 2MB, there’s a good chance the message won’t send. Why can't I email my Meetup group’s mailing list address? A picture is worth a thousand words, so when it comes to reporting an issue you’re having with Meetup, we prefer to save you from all that typing. It also helps us see exactly what you’re seeing. Windows: Use your system’s Snipping Tool to capture a screenshot. Mac OS: Follow these steps to take a screenshot of either your entire screen or a portion of your screen. iOS: Refer to these instructions to capture a screenshot of the Meetup app or your mobile web browser. Android: Follow these instructions to capture a screenshot of the Meetup app or your mobile web browser. After capturing your screenshot, attach it to your email to our Community Support Team.